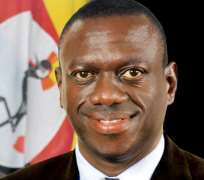 Besigye should remain focused despite the attacks from opposition! I would like to welcome back Dr. Kiiza Besigye from the running, and also appreciate the small donation he made towards Mengo's efforts to fight sickle cells. Yes, the Kabaka's gov't has always appreciated his efforts, I guess. As for Bobi, I'm only disappointed in him, not because he spoke against Besigye, but because he has started something he most likely won't win--attacking one of the strongest pillars of the struggle only weakens the struggle, and that is unacceptable.We've witnessed people of various walks of life working day and night to try to change or remove the Museveni the govt.Unfortunately, things haven't been smooth sailing because its not easy to remove Museveni, but we respect all those that have tried, and never speak about their mistakes using the tone Bobi used--yes, it wasn't an advisory tone, it was an accusatory/ attacking one, and sickening. For me, that was so bad to see-- because its painful for some of us who had high hopes in Bobi and,at some point, elevated or praised him or whatever. The language, the tone and body language is something all politicians need to be aware of when speaking in public, because it's essential, especially, if we wish to be effective and productive in the future.There's are better ways of pulling Besigye to your side of thinking without belittling him. In the long run, it is imperative for Besigye and all FDCs to: engage with everyone in opposition(not necessarily going into blind alliances), strengthen FDC's internal working systems - and most importantly - to be proactive leaders who care for the democratic growth of our country. Besigye's task is to make efforts and to strive,and to remain focussed as he's doing now with grassroot mobilisation. He shouldn't react so much to people tormenting him: calling him a mole, 'twakubuka', 'comedian' and all kinds of nonsense - and with God is all success, victory, tawfiq, and assistance. We present all our affairs to Him and we profess our weakness and shortcomings before Him. "In tribute to the United Kingdom and the Republic of Uganda, two bastions of strength in a world filled with strife, discrimination and terrorism."